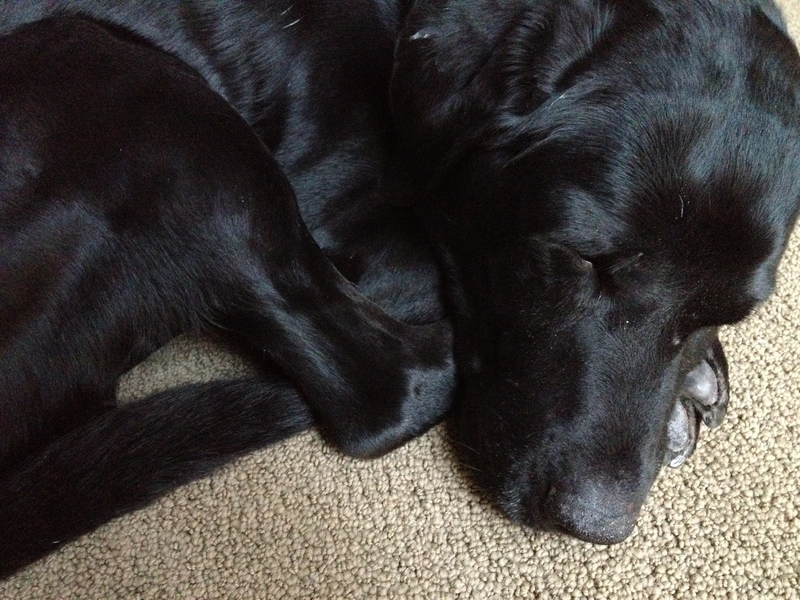 It’s time for another 23 PAWS post and link-up. Head on over to Cinnamon’s monthly pet link-up to read more pet posts. 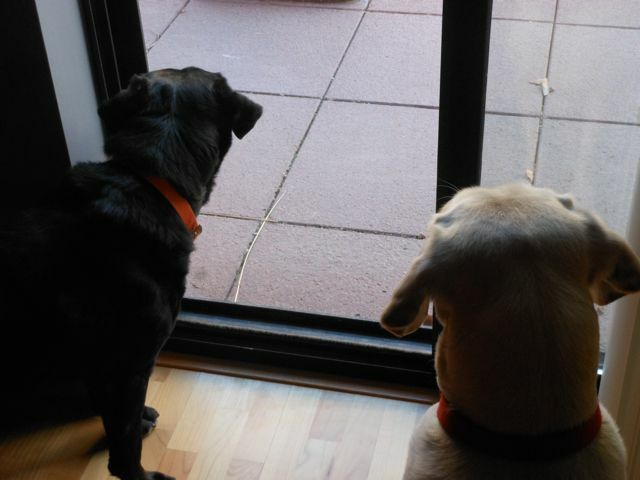 When Kostas and Tucker met they were each used to being an “only child”. They each had their “person” and I think they lived the high life being the center of attention. In fact, the first time they spent a day together, Tucker nearly ripped Kostas’ head off when he (K) tried to drink from his (T’s) water bowl. Tucker is definitely the alpha male (and is also super sweet and affectionate). 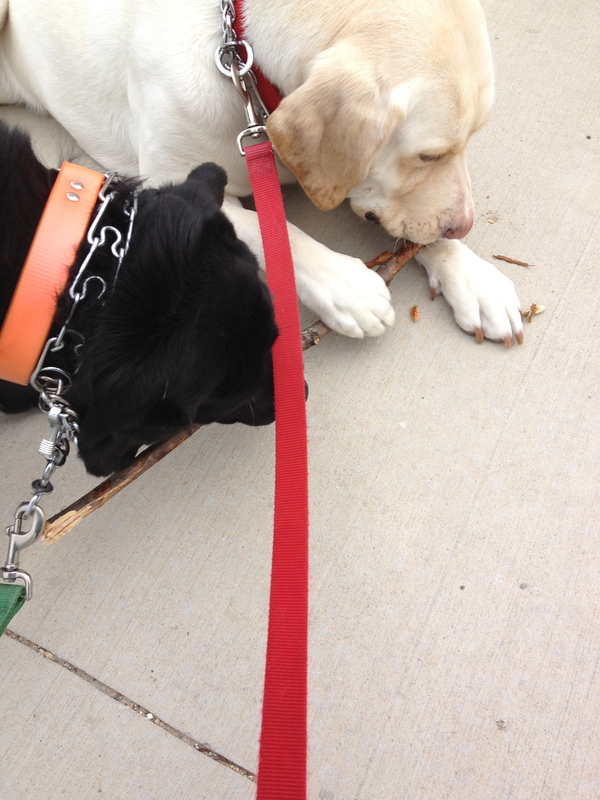 Kostas has figured out the one thing he can do to drive Tucker bananas…taunt him with a stick/toy. 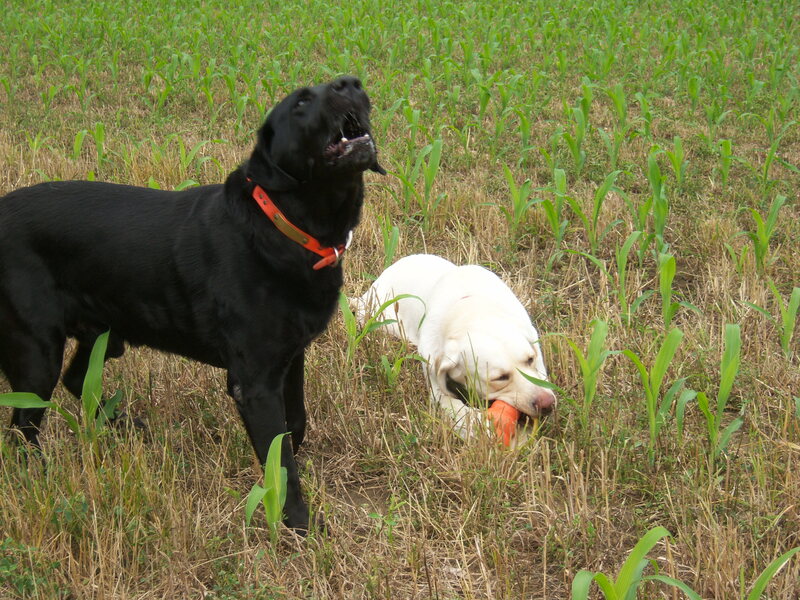 We’ll throw the toy, Kostas will “fetch” it, bring it back but they lay down in front of Tucker and chew the toy. Tucker barks. 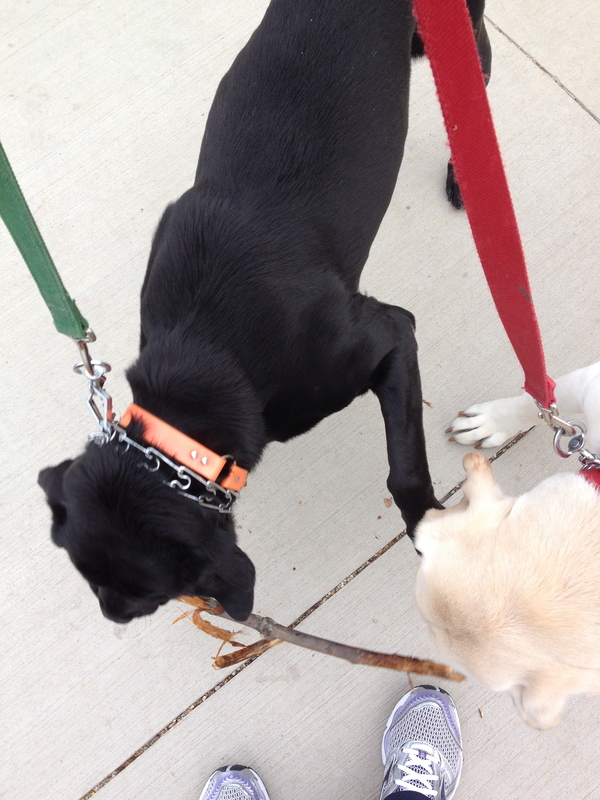 And sticks…Kostas finds them on our walks. Carries them for 4 miles, and at every stoplight, lays down to chew the stick. Tucker stares him down. All in all, The Guys are good buddies. Sometimes they work together (like when they lobby to eat breakfast or dinner) and sometimes they drive each other crazy. 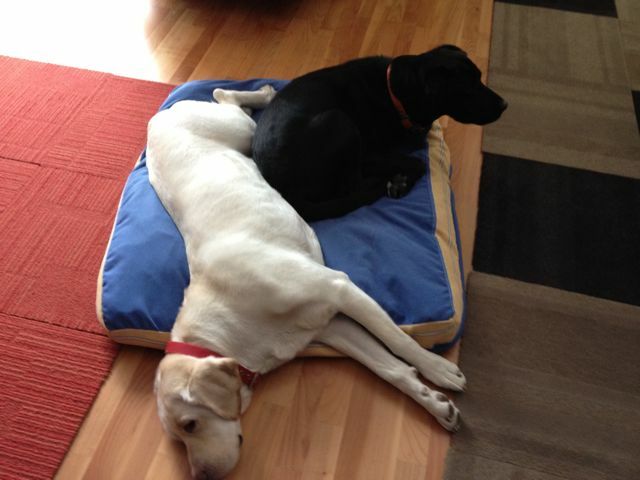 And once in a while, they share a dog bed. Quacking ducks in the middle of the city make me laugh. 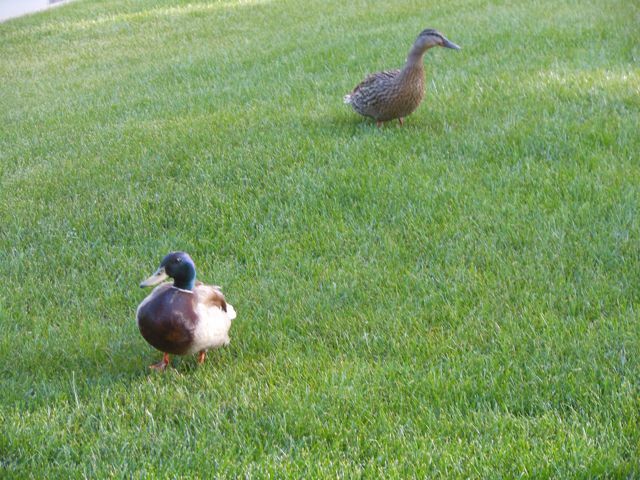 I don’t know why but there’s something funny about ducks in the middle of a condo building courtyard – they were quacking up a storm. Ears perked, on high alert!